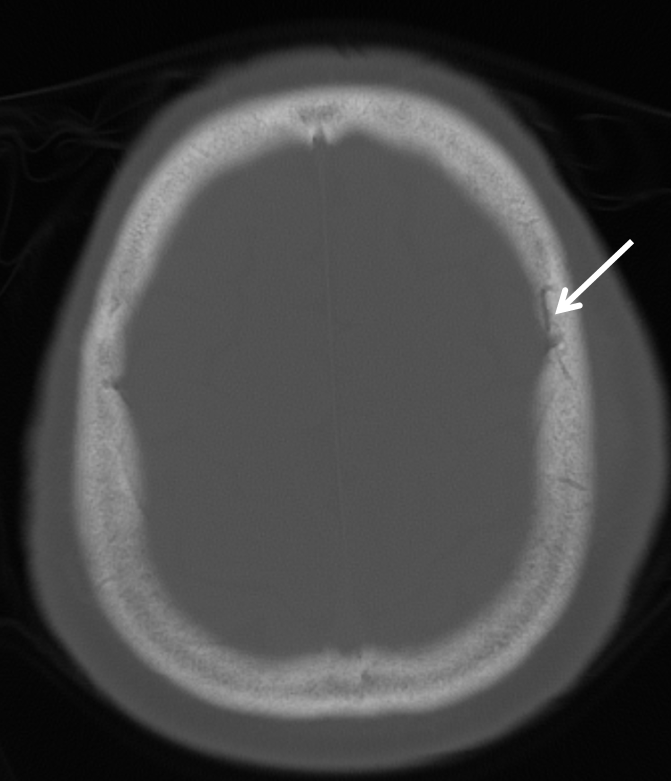 If a skull fracture rips open one of the many dural arteries, the resulting hemorrhage will collect in the (usually potential) epidural space (between the dura and the inner table of the skull), leading to the well-known and exteremely dangerous condition of epidural hematoma. Such hematomas are usually most dangerous when the fracture involves one of the major branches of the middle meningeal artery — the largest meningeal artery in most people. 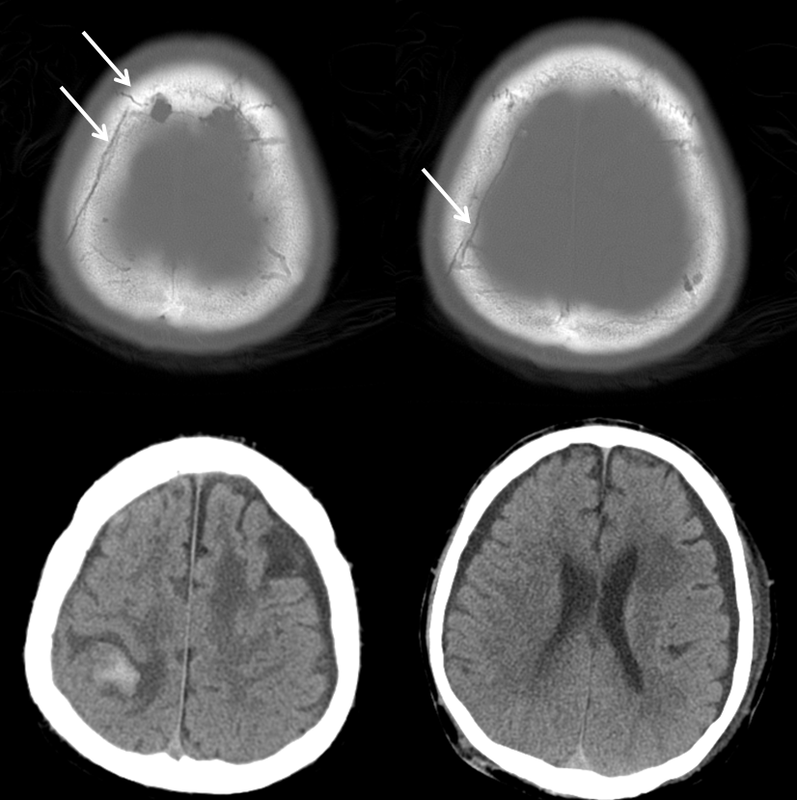 Large hematomas can form relatively quickly, leading to the classic history of delayed neurologic decline following an initial post-traumatic period of lucency. 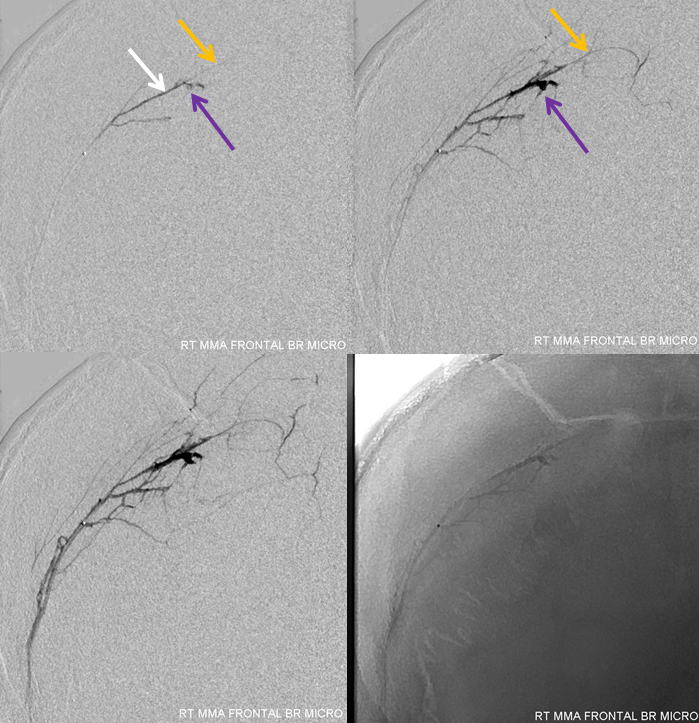 However, when one looks at these cases more closely (with angiography), one finds that other issues can develop even when there is no epidural hematoma. 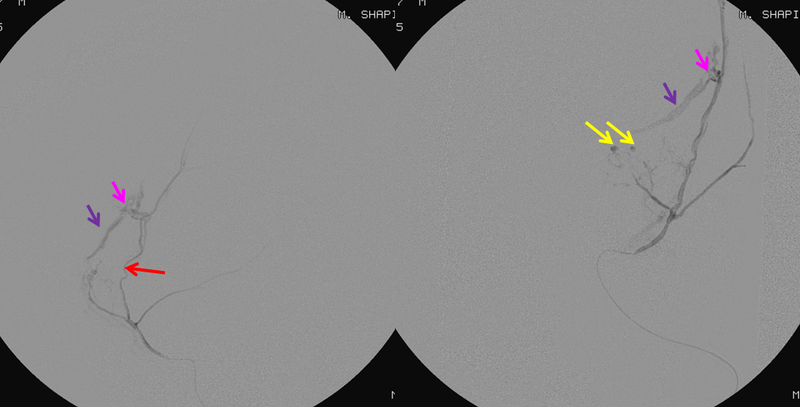 In this patient with a traumatic skull fracture (white) and non-traumatic, chronic subdural hygromas, a cerebral angiogram was performed to evaluate for possible cause of the adjacent intracerebral hemorrhage which did not fit the typical traumatic distribution. 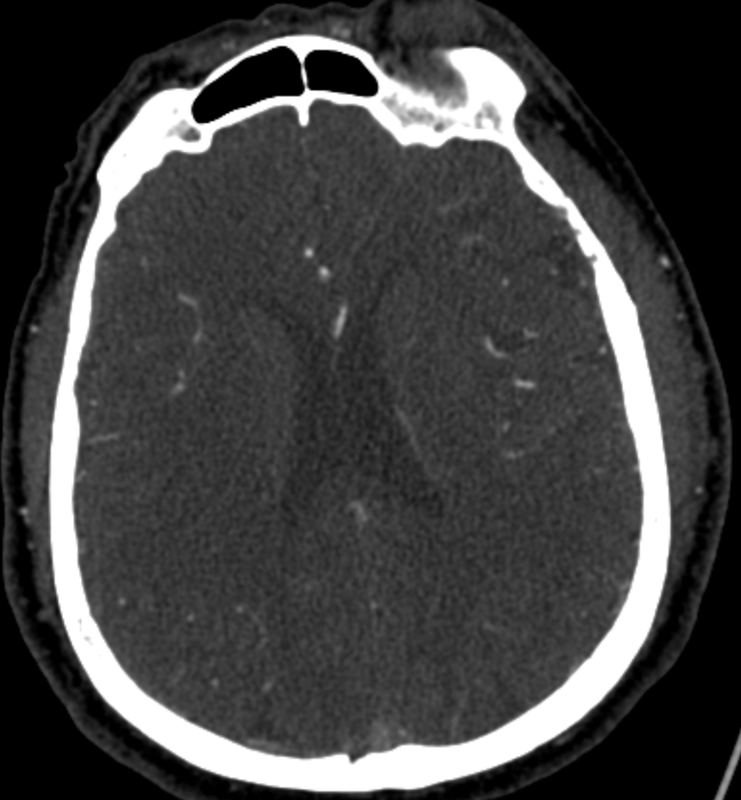 Another hemorrhage was present in the left subcortical parietal white matter also. 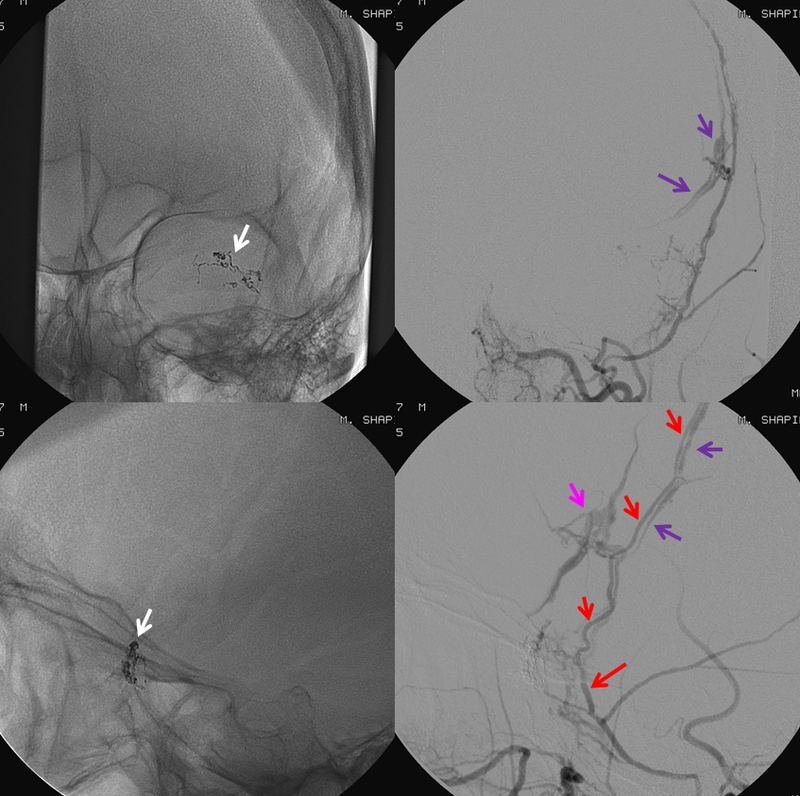 Injection of the right external carotid artery shows a dural fistula (red) supplied by the frontal branch of the MMA (white), draining into the middle meningeal vein (purple). Notice how the vein and artery parallel each other in the lower right image. 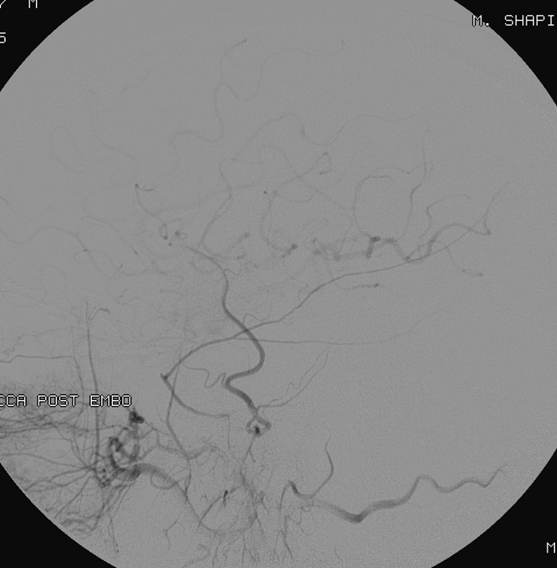 A microcatheter injection of the frontal MMA branch (frontal view) in preparation for nBCA takedown. 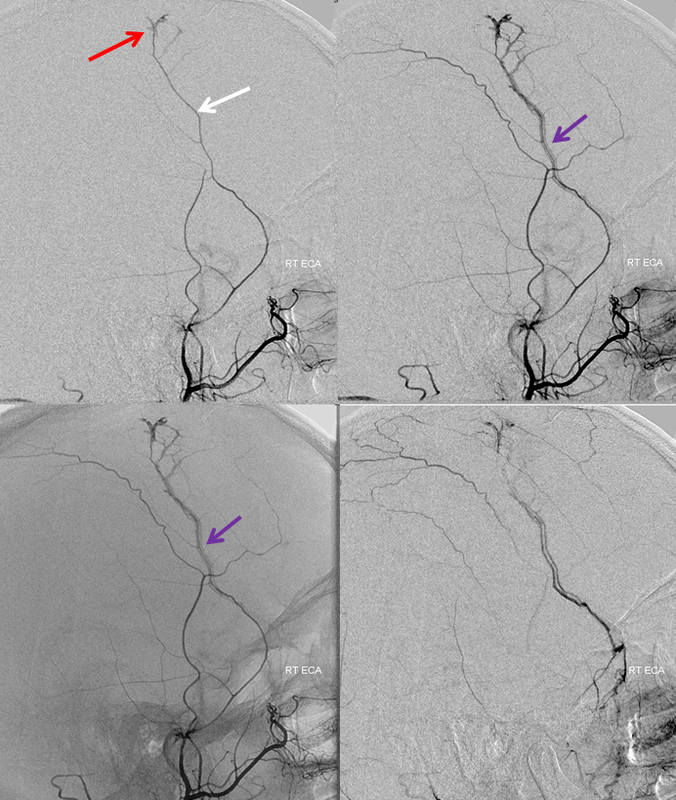 The fistula is now shown in purple (sorry). The frontal branch distal to the fistula is yellow. 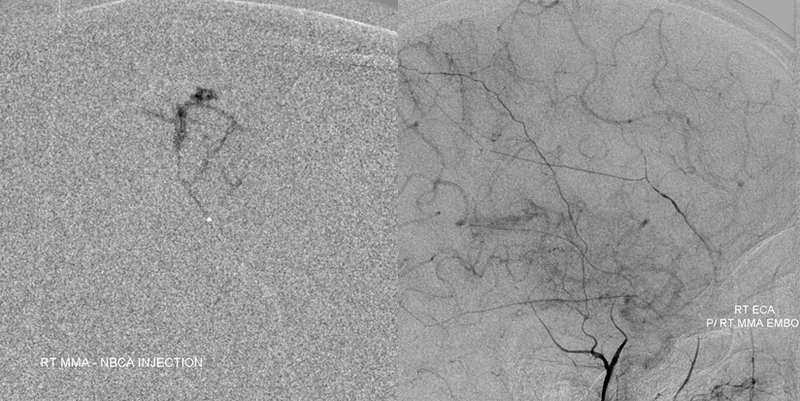 nBCA cast (left) and post-injection control right ECA angiogram; glue is seen in the venous portion of the shunt, as required for occlusion. A good case for fellow nBCA shot. 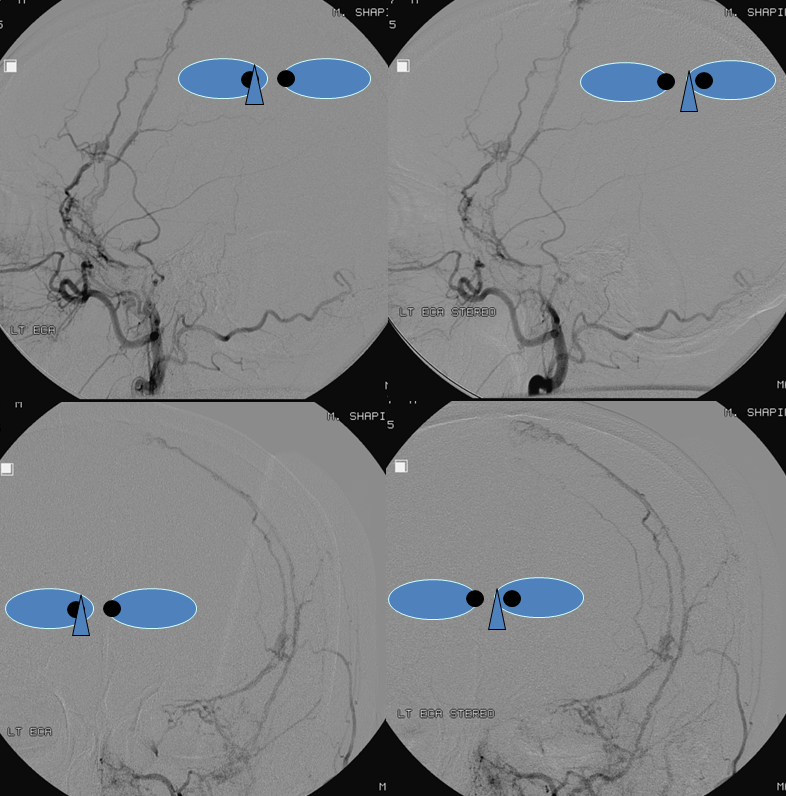 Left ECA injection, as well as right internal carotid injection should be done as well to look for reconstitution of the fistula via the contralateral MMA and ipsilateral anterior meningeal. They were fine. 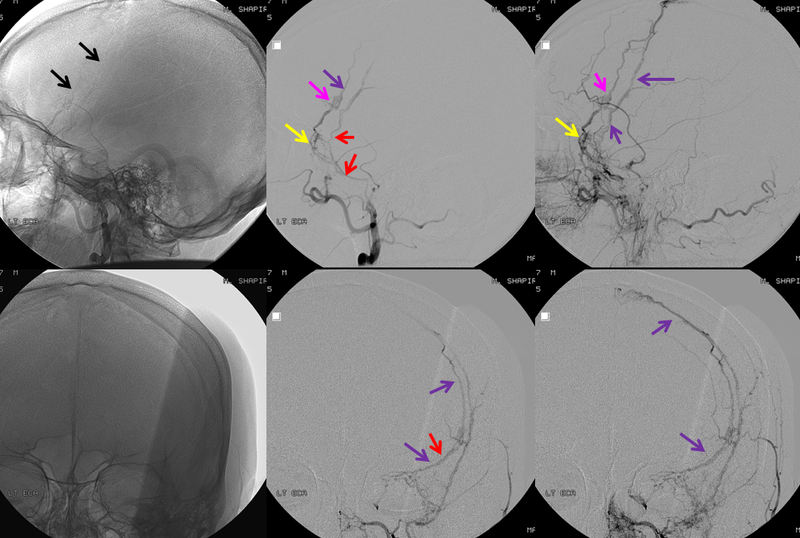 Microcatheter injection of the MMA (red), with areas of injury, including (pink) MMA to MMV fistula, and MMA tear (yellow) tamponaded by thrombus without epidural hematoma formation or fistula. Glue (white) delivered to seal the tear. The fistula (pink) remains, with MMA (red) and MMV (purple).